In spite of deep political division in Congress and across the country, Utah’s freshman Sen. Mitt Romney has been pleasantly surprised by how “collegial” his fellow senators are. It was Democratic Sen. Kirsten Gillibrand of New York. Saturday marks Romney’s 100th day as Utah’s junior senator. Three months into his term, the 72-year-old former presidential candidate is settling into his assignments on the Senate Foreign Relations and Health, Education, Labor and Pensions (HELP) committees. He’s chairman of a subcommittee on the Middle East and counterterrorism and is planning a trip to countries in the region including Israel, Jordan and Iraq. While he hasn’t unveiled a signature piece of legislation of his own yet, Romney has helped introduce a handful of bills. He’s supported legislation ranging from rural Utah’s economy to a constitutional amendment to limit the U.S. Supreme Court to nine justices, after some Democrats proposed expanding the bench. Since rekindling his political career last year, Romney’s relationship with President Donald Trump, who he has called a “phony” and “fraud,” has been closely watched. Three months in, Romney has broken with the president a handful of times. The day before taking office, he penned an infamous op-ed criticizing Trump’s moral character, for which he received significant backlash from other Republicans, including GOP Chairwoman Ronna McDaniel — his niece. He voted for bipartisan resolutions rebuking Trump for his foreign policy and for declaring a national emergency to divert funds to the U.S.-Mexico border. On the latter vote, Romney said he opposed executive overreach, not Trump’s efforts to provide more border security. But for Romney, the most notable time he’s set himself apart from Trump and other Republicans in the past 100 days wasn’t about policy, it was on principle — the “constant comments” leveled against late GOP Sen. John McCain. And that’s what voters support. Shortly after Romney’s election, anAP Votecast poll found that 64 percent of Utah voters wanted him to stand up to President Trump. “I think those that want him to be sort of the foil to President Trump, they’ve had some reason to be satisfied,” said Jason Perry, director of the University of Utah’s Hinckley Institute of Politics. However, Perry noted, Romney’s promise about when to break with the president gives him broad leeway. 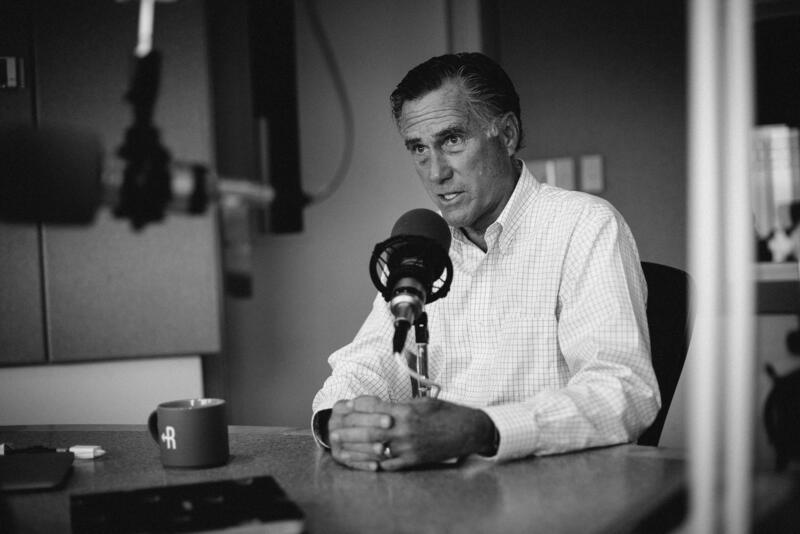 As a former business executive and Massachusetts governor, Romney anticipated the limitations he would face as one member in a body of 100. Still, he says the new dynamic hasn’t been completely new to him. One the major points of Romney’s Senate bid was that he already had working relationships with other senators and would enter the body with a higher-than-average stature. That has translated to his involvement in one of several working groups on health care policy, as Congressional Republicans struggle to come up with an alternative to the Affordable Care Act. Romney says he’s talking with Health and Human Services Secretary Alex Azar and a handful of other GOP Senators about a possible replacement for the law also known as Obamacare, something Trump has promised if Republicans win in 2020. “I frankly don’t want to have to deal with federal bureaucrats to be able to get a CT scan or a health evaluation,” he said. It’s just one of many political battles Romney will face in his first term as a senator, and he says his long-term priority is to tackle is federal spending and the skyrocketing deficit. With the 2020 presidential campaign ramping up, Romney has already caused a stir by saying while he won’t run against Trump in 2020, he wouldn’t necessarily support the president, either. Sen. Mitt Romney voted resolution disapproving of President Donald Trump’s National Emergency Declaration, joining Sen. Mike Lee, R-Utah, who also broke with the president. Amid a government shutdown and criticism from fellow Republicans for his op-ed expressing disappointment in President Trump, Mitt Romney took the oath of office and became Utah’s newest Senator on Thursday. 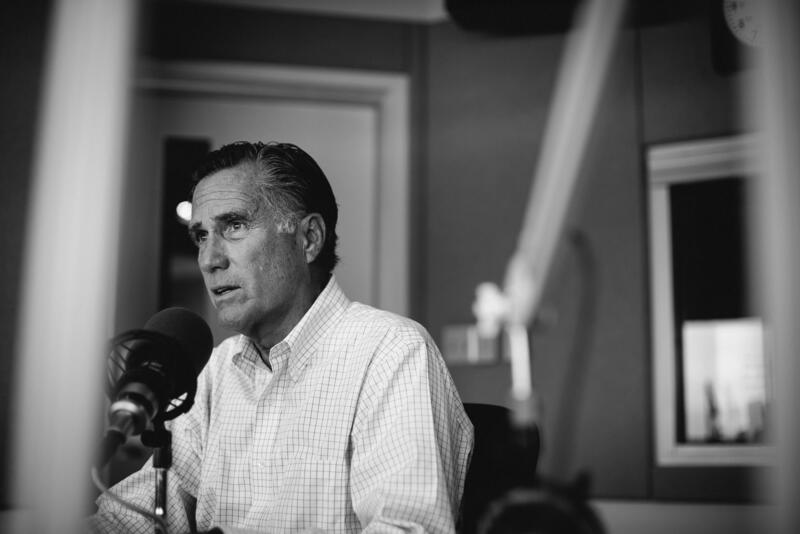 In a short interview with KUER before being sworn in, Romney discussed his priorities as Utah’s freshman senator, his thoughts about the partial shutdown and reaction from President Trump to his opinion piece.